Earlier this year, webmasters from around the globe were flummoxed by unusual fluctuations of site rankings on Google. The Webmaster World forum was quick to notice the change. Many are speculating that the ranking problems are being caused by a Google upgrade named “Fred”, so coined by Gary Illeys, a likely Search Quality Analyst who describes himself as “House Elf and Chief of Sunshine and Happiness at Google.” Google has yet to confirm the upgrade. Twitter, however, has been abuzz with “Fred” upgrade news. What is Fred and Why is Everyone Worried about It? Interestingly enough, not all sites experienced the changes. Some SEO agencies have noted that no changes were observed with their client rankings. Some webmasters, on the other hand, experienced massive ranking drops. Some people even saw their sites being wholly delisted. Some rankings have come back, while others haven’t. Is Fred Still Affecting Sites? This leaves many questions unanswered. Which sites have been affected? What are the repercussions for SEO? Webmasters have largely been able to get their sites under control when the possible update was ongoing. Sites that were seriously affected have been able to come online again for the most part. It’s very likely that Google is done with the Fred upgrade. No one has mentioned any weird ranking fluctuations on the past week or so. Of course, once Google completes an upgrade, the search engine works without any major glitches. Sites that may have been affected by the upgrade, but didn’t have a webmaster available at the time to fix the issue, are strongly advised to seek the help of a professional. It is possible that you may have missed a major ranking drop with your site earlier this month. It’s important to address the problem as soon as possible. 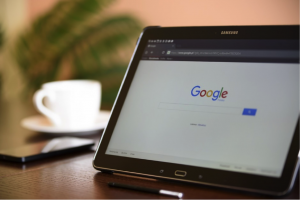 For sites that may have been delisted, it’s recommended to contact Google directly and, if necessary, get suggestions from the web host provider. It’s still unknown the effect the supposed update may have on sites in the future. Google has not released any new SEO rules this month, and it’s unlikely the company might soon. As Google was quick to clarify, the company upgrades the algorithm all the time. It’s nearly impossible to keep up with all the changes. Then again, not all upgrades affect the SEO aspect of sites. So far, site rankings work as it used to earlier this year. But it will be smart to keep up to date with any new SEO news Google might suddenly issue. Welcome to UBC Digital. In 2017, it is vital that all business, marketing and finance students have a solid grasp of digital marketing if they are to make a true impact in their career. UBC Digital aims to help such students learn the basics of digital marketing and it’s important in the digital age. If you are a UBC student and would like to contribute an article to UBC Digital, please contact us.